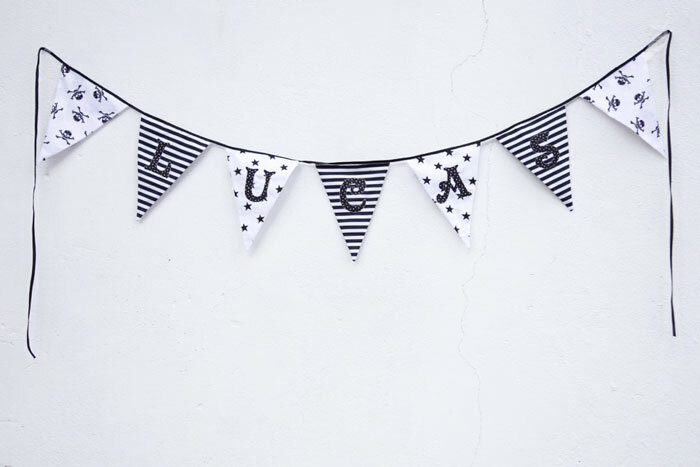 Welcome to the world, baby Lucas – our new gorgeous nephew! I got a sneak preview of the nursery before he was born so I already knew the colour scheme. And he has cool rock ‘n’ roll parents so skull and crossbones were totally acceptable! 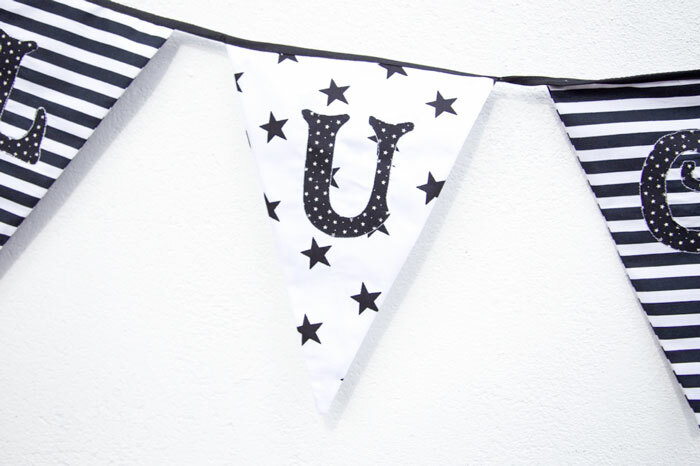 I attached the letters with double-sided bondaweb as I did before on Maddie and Charlie’s bunting but this time, instead of using the appliqué stitch, I used a regular straight stitch, quite close to the edge, to secure the letters in black. Appliqué stitch on my machine is slow and unless its visible – in a slightly or fully contrasting colour – there’s not much need to waste time or thread! There was a slight contrast issue with the letters against the background fabrics. So I sewed another line of white stitching around the letters to make them stand out more. Lucas with his mum and dad, live across the waters in the sunnier climes of Florida (not jealous, much!) 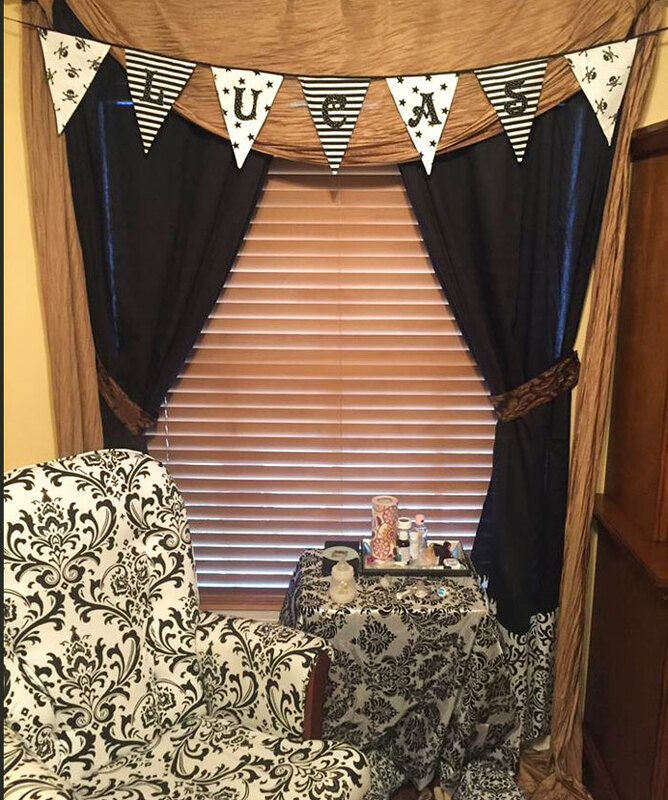 and so I was delighted to receive this picture of the bunting in situ, not long after posting the parcel. Fancy that. My handiwork travelling all that way to hang in an American nursery! And incidentally, no longer bearing the name ‘bunting’. It’s now called a banner! Bunting in the US is more akin to a baby’s snowsuit. Interesting to compare the search results for ‘bunting’ on Amazon.com v Amazon.co.uk! Learn something new everyday!